If we’re ever going to flip the script when it comes to the quality of country and roots music and the representation of women within its ranks, it’s going to take incredible voices and cunning songwriting that can’t be held down by the norms and habits that have plagued the music for too long. 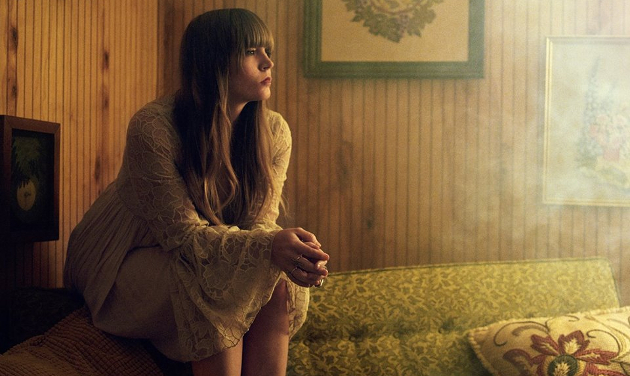 In the last few years multiple voices have emerged that could bring the promise of greater balance to fruition, and possibly none as strong and compelling as Courtney Marie Andrews. Announced on Monday (1-10), Andrews will be making her debut on Fat Possum Records in conjunction with Mama Bird and Loose Music with May Your Kindness Remain. 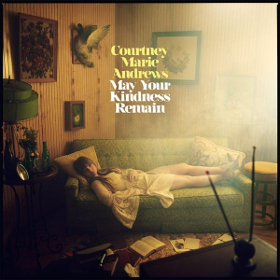 Featuring ten tracks produced by Canadian Mark Howard, who has previously produced records for Willie Nelson, Lucinda Williams and Tom Waits, May Your Kindness Remain is said to awaken more gospel influences in Courtney, and this certainly can be heard in the album’s title track, with contributions from Gospel singer C.C. White (listen below). Courtney Marie’s stories and subjects are often hard to discern from her own narrative since she’s lived such and interesting and character-filled life. Leaving home at 16-years-old to become a busking musician up and down the West Coast, and later traveling in eastern parts of the United States and Europe, she eventually made a name for herself by impressing artists like Jimmy Eat World and Ryan Adams, and singing backup on some impressive stages as she toured the country. The title track of the new record gives hope to the downtrodden, reaffirming that regardless of the adversity and outcomes in life, never sacrifice your greater parts, because they could still have a purpose in the future. May Your Kindness Remain is now up for pre-order, and will be released on March 23rd. We were lucky enough to see Courtney twice in Australia in 2017. Firstly touring with Joe Pug and later with Sam Outlaw. Hope she get’s back down our way again soon! I’m Really looking forward to this release. Her voice is wonderful. It is both strong, has a wonderful color and I love her phrasing. She’ll probably not win any of them but the fact that she has been nominated is allready that a win for here. Looking forward to this greatly. She was my best new find of 2016 (Tyler Childers was that person in 2017). Looks like she’ll be in DC at the Black Cat on album release day. Unfortunately, I really have my heart set on seeing Lee Ann Womack that same day at my favorite venue The Birchmere. She blew me away when I saw her there in 2015. DC area roots music fan problems. Out of tune guitar solo …..wow ? but desperately out of tune ….how ? why ? …. Definitely looking forward to this, and love the song, but the guitar in the middle is terrible.